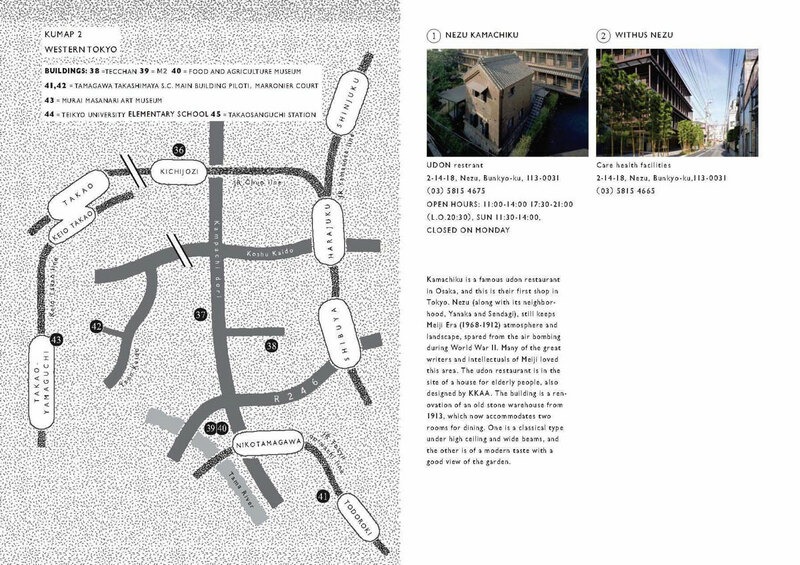 Kengo Kuma Architects & Associates has released their own Architecture Guide of Tokyo featuring all the construction where KKAA’s office has intervened. The guide samples 42 buildings of KKAA. Kengo Kuma recently won the competition for the Tokyo Olympic Stadium 2020. This is a café run by one of Tokyo’s most highly-rated restaurants of Japanese cuisine, also located near the university. Inside the café and in the semi-outdoor space with a famous Japanese garden at the back, guests can enjoy the view as well. Sunny Hills wanted a place like a living room in this residential area, so our idea was to put up a forest in the town. 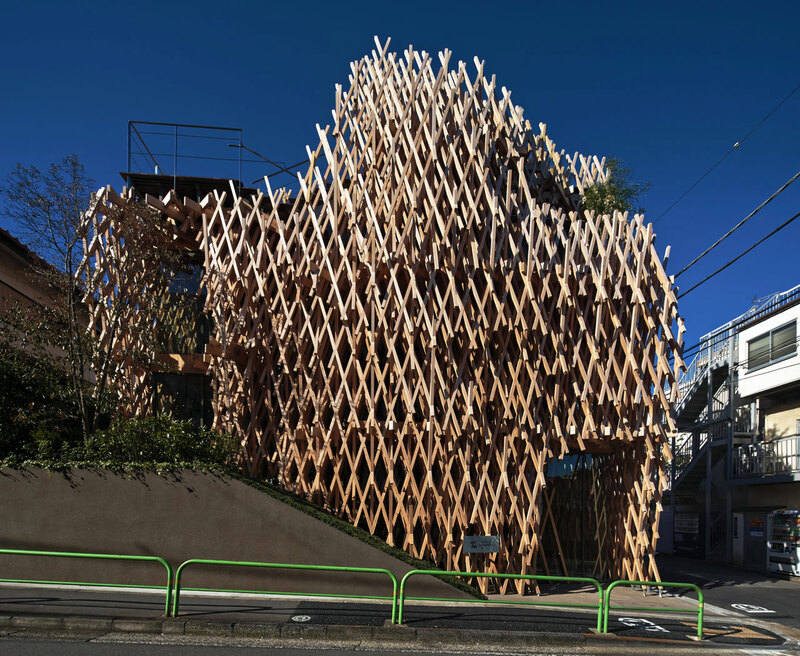 We developed jigoku gumi (traditional wood framing of Japanese architecture) into a three-dimensional structure, and the whole building is made like a basket . Visitors can try a piece of the cake in a café- like setting on the second floor. 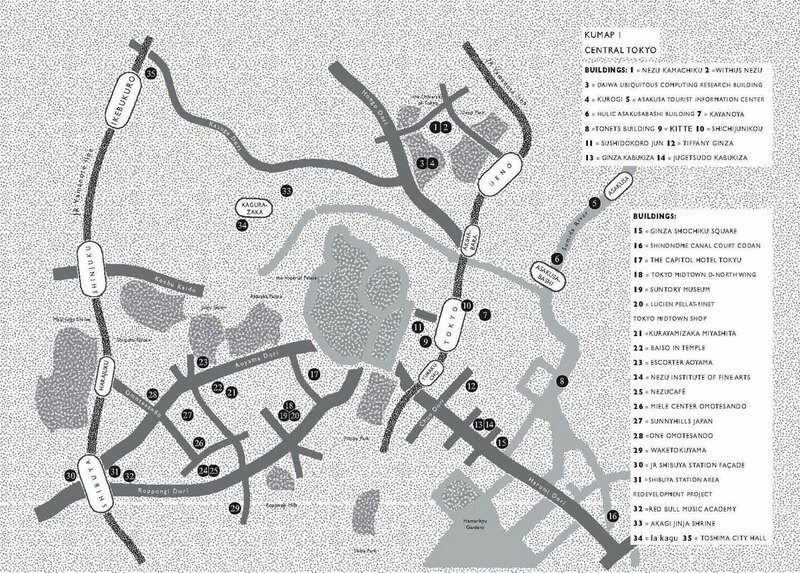 Given the location, one of the busiest shopping streets in Japan, we designed a gradual change from the bustling street to the quiet forest in the museum. 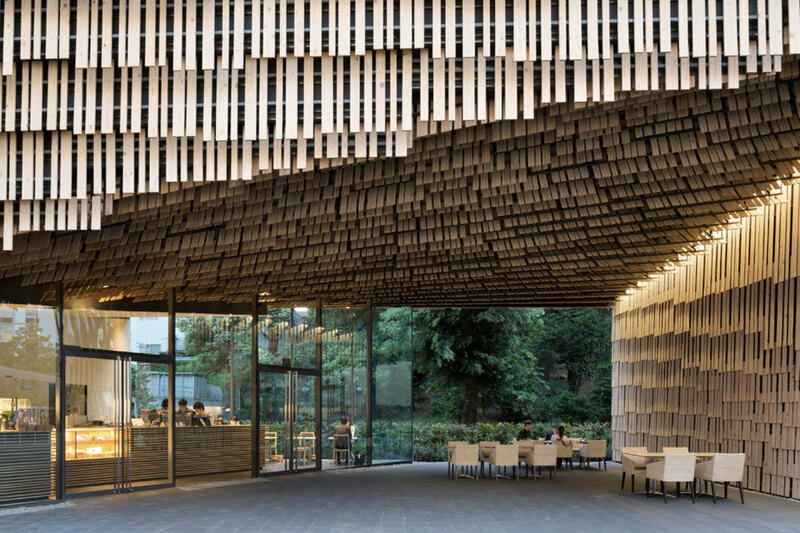 The building is loosely open up to outside, instead of being surrounded by blind walls, by an approach through a bamboo thicket. Visitors are ushered into the museum under the bamboo and deeply overhanging roof, changing directions as they do in the roji of a teahouse. Tokyo University of Agriculture was established in 1925 as the first private school for agriculture. 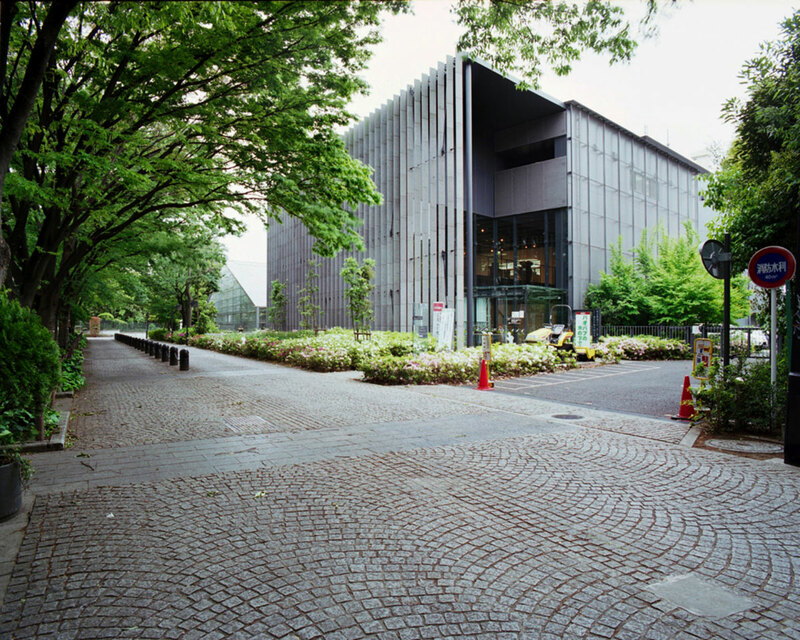 The museum exhibits not only its history but also traditional farming equipment and sake wares, as well as hosts events related to food. 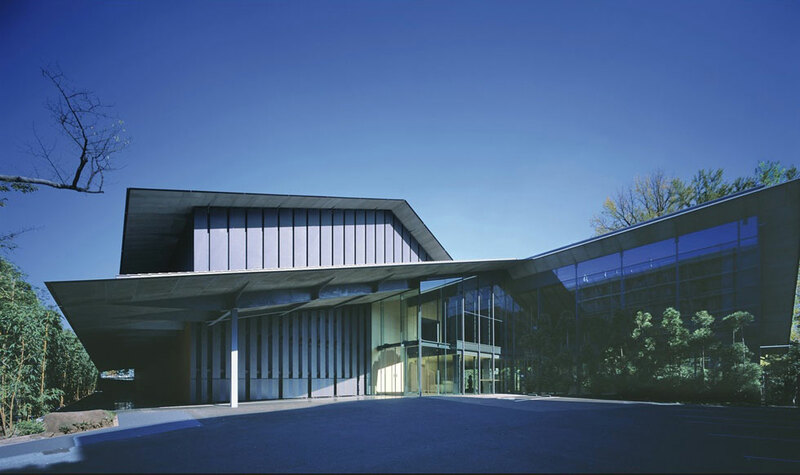 To open up the museum widely to the community, we used ashino stone louvers to connect the building with the Keyaki avenue in front of the site. Shincho-sha is one of Japan’s biggest publishing companies. We conver ted their old warehouse to a plaza , a café and a shop. 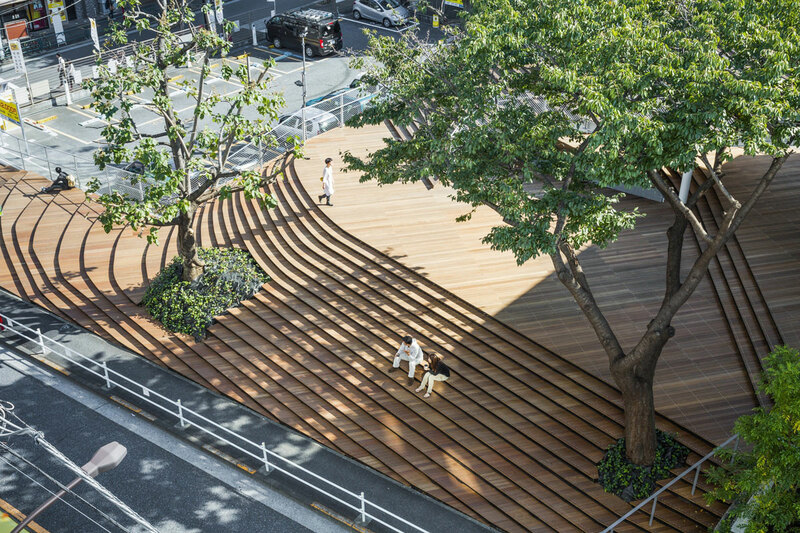 As the site was slightly sloped, we provided an organic shaped plaza covered with wooden deck, so that the local people could use it as their gathering spot. Inside the warehouse, we exposed the old delicately-designed steel structure and preserved bookshelves in steel, to be reused by the new shop. 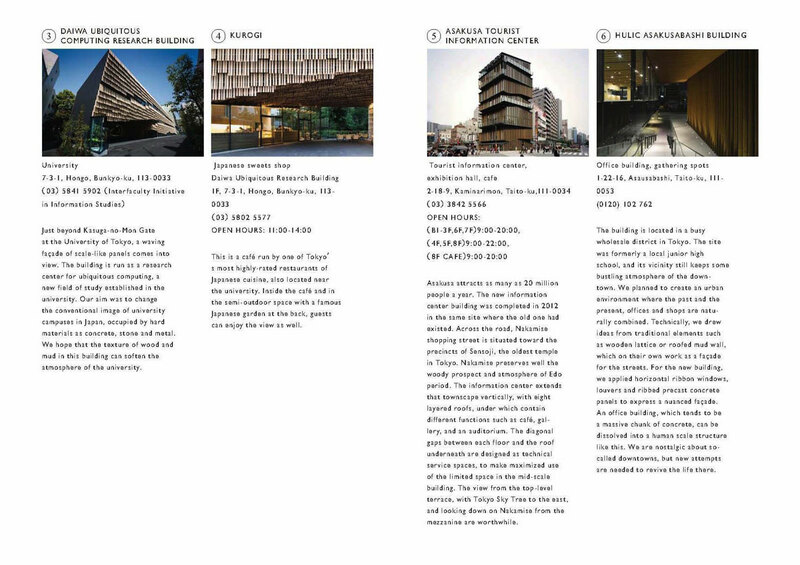 Cite this article: "Kengo Kuma Architecture Guide Tokyo 2016," in ArchEyes, January 27, 2016, http://archeyes.com/kengo-kuma-architecture-guide-tokyo/.